queerguru reviews Brit auteur filmmaker Terence Davies’ masterful biopic on the great American poet Emily Dickinson starring Cynthia Nixon in a career-best performance. The review for queerguru reports was filmed by Roger Walker-Dack for PTV’s Channel 99. Kate Winslet stars in the one of the campest movies of the year as Tilly Dunnage when she sweeps into her dustbowl hometown in a remote part of the Australian Outback dressed to the nines. In the 20 years since she left in the middle of the night Tilly has reinvented herself a couture dressmaker who has been making fancy frocks for fashionable Europeans. Now she wants to solve the murder-mystery to see who is really to blame but first she seeks to win over the local hostile women by making them look fabulous. queerguru reviews The Dressmaker for P.T.V. The wonderful astonishing opening sequence of a full scale choreographed musical number on a flyover in the middle of an L.A. traffic jam sets the pace for what is clearly one of the most exhilarating movie musicals for years. 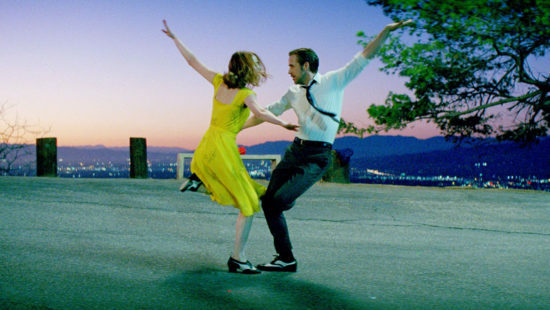 La La Land is only the third film helmed by 31 year old Damien Chazelle (he picked up an Oscar nomination for Whiplash his last movie) and he successfully creates a contemporary musical that is obviously inspired by all the classic ones of the genre with it’s romantic story full of hope and love. queerguru reviews La La Land for P.T.V. as the movie arrives at the Waters Edge Cinema in P.Town. queerguru reviews for P.T.V. ex fashion guru Tom Ford’s sophomore movie Nocturnal Animals which is a fast paced thriller that will most definitely totally shock and delight audiences at the same time. Starring Amy Adams, Jake Gyllenhaal and Michael Shannon who will all probably get Oscar Nominations for their superb performances, as too will Brit Aaron Taylor-Johnson who is shockingly good as Ray Marcus the main thug in the story.